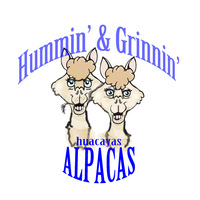 Hummin' & Grinnin' Alpacas is an alpaca farm located in Pierce, Colorado owned by Larry & Betty Friend. Our farm was established in May 2011 when we purchased some companion animals so we could get first hand experience with alpacas. We soon had fallen in love with their gentle spirits and graceful demeanor and knew we wanted to become a part of the alpaca industry. We began adding breeding stock with very good genetics to our herd. We have alpacas for everyone. Six herdsires having good genetic lineage are ready for service and we have several dams, bred, or with crias at their side. Also we have fiber/companion animals which make wonderful pets or 4-H projects! We welcome emails, telephone calls and farm visits. Please call before a farm visit so that we will be home and ready to show you around. 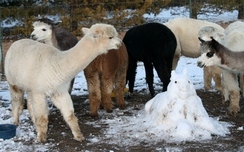 We love to talk about our alpacas and will do our best to answer your questions. We enjoy introducing them to those who are interested in learning more about them. 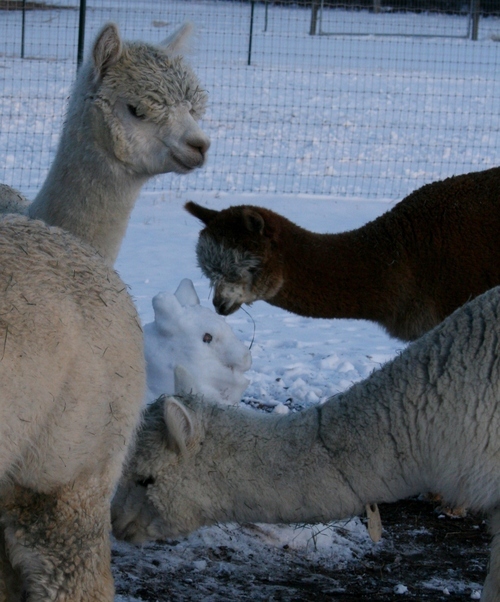 Meeting a new friend "Snow Paca"